The year’s Critical Communications World was the most successful in the history of the event, attracting 4,500 visitors across the course of its three days according to its organisers. 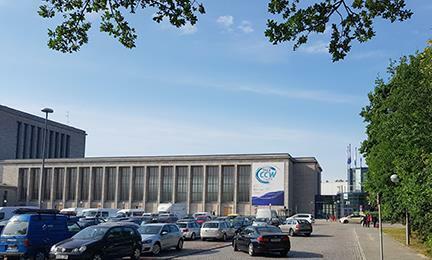 The show – which this year celebrated its 20th anniversary – took place at the Messe Berlin in May. As well as a record number of visitors, CCW also witnessed 175 experts speaking on a range of critical communications-related subjects, as well as 259 suppliers. Critical Communications World is produced by TCCA in partnership with organisers, MA Exhibitions. This year’s sponsorship came from Motorola Solutions, Huawei, Hytera, Nokia, Tait Communications, Leonardo, Airbus, Critical Communications Finland and Frequentis. CCW 2019 will be held at the Malaysia International Trade and Exhibition Centre (MITEC), Kuala Lumpur, Malaysia, on 18-20 June. The next event in TCCA’s Critical Communications Series is CCMENA, taking place in Dubai, 23-25 September.